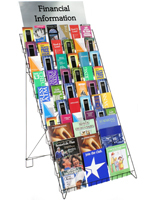 This countertop literature stand will allow advertisers to arrange the printed materials on all six of the tiers. 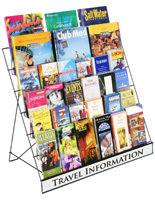 Each floor standing magazine holder has 2.5"d levels for accommodating stacks of print outs. 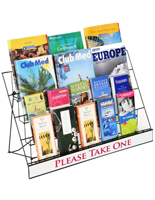 A literature stand with 18"w x 2.5"h signage channel, also called a flyer rack, lets users create custom messages for customers to read. 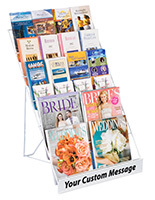 The appropriate sign is not included with purchase of a floor standing magazine holder. 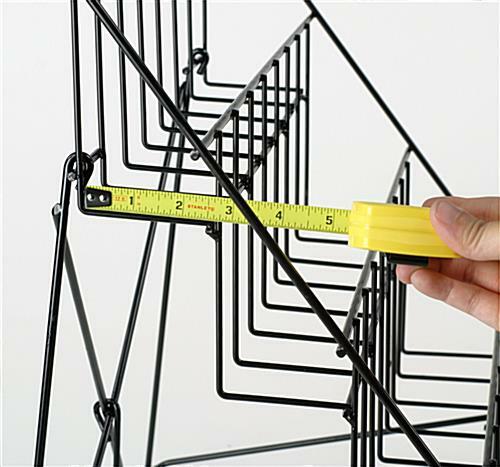 Every stand has a black finished wire construction to last for year to come. 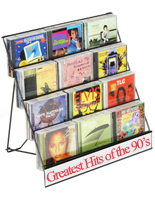 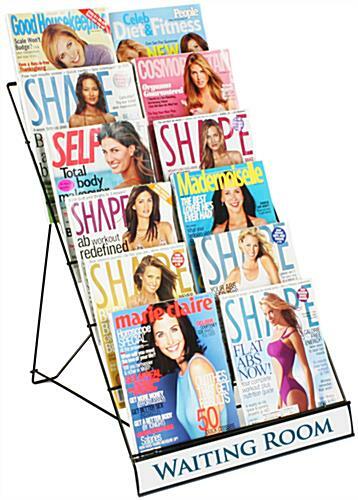 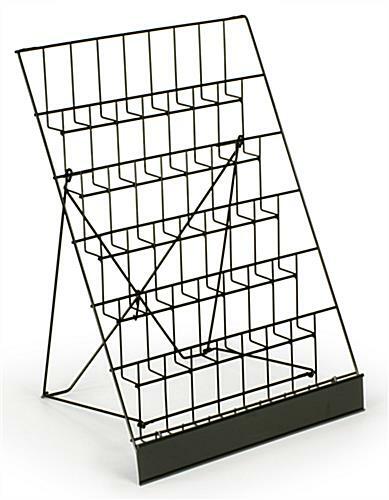 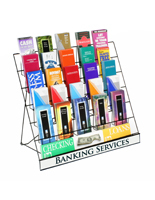 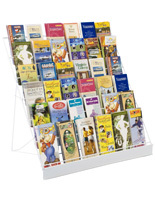 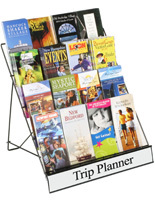 The flyer rack is the perfect for choice for retail shops, convenience stores and any other establishment with many catalogs for consumers.